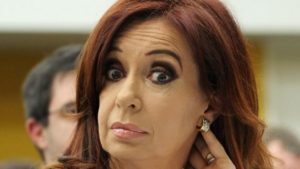 WASHINGTON — Argentinian President Cristina Fernandez has seen her popularity plummet as a heat wave has led to electricity shortages across the country. Reuters reported that protests began to gain momentum as Argentines were upset at how terribly their country has been run under Fernandez. She still has two years left in her last term and an effort to keep her in power ultimately failed this past year. Fernandez had shut off the country from investors under her presidency, keeping foreign capital out of the continent’s third-largest economy. Protests that took place involved families taking to the streets, banging pots and pans and demanding electricity to be connected to their homes. The lack of electricity was the government’s fault, who underinvested in the distribution network for the country. Her and her political allies suffered a major setback in recent elections in 2013 and have seen a decline in their economy, which many blame on Fernandez’s antagonistic approach to businesses and the markets. Her popularity, according to a firm called Management & Fit, was at 31% and a disapproval rating of 58%. She had started the 2013 year with around a 50% popularity rating and 45% disapproval.